Cells are powered by tiny energy reactors called mitochondria. When damaged, they leak destructive molecules that can cause substantial harm and eventually kill brain cells. 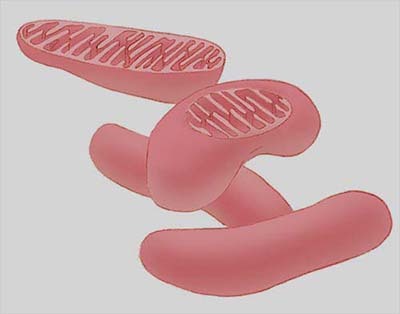 Scientists at the National Institutes of Health’s National Institute of Neurological Disorders and Stroke (NINDS) showed that a protein called PINK1 that is implicated in Parkinson’s disease is critical for helping cells get rid of dysfunctional mitochondria. According to the new research, published in the journal Nature, PINK1 does this by triggering an intricate process called mitophagy that breaks down and removes damaged mitochondria from the cell. Mutations in PINK1 and its partner molecule Parkin cause hereditary forms of Parkinson’s disease. Moreover, the inability to remove defective mitochondria from nerve cells has been linked to numerous neurodegenerative diseases, including the more common forms of Parkinson’s disease and amyotrophic lateral sclerosis (ALS). Scientists previously considered Parkin essential to destroying damaged mitochondria, but Dr. Youle’s team discovered that PINK1 can initiate this process without Parkin. “This changes the model we had previously, and relegates Parkin to an amplifier that increases the mitophagy signal triggered by PINK1,” Dr. Youle said. The group learned that PINK1 recruits two proteins called Optineurin and NDP52 to the surface of mitochondria. These proteins, in turn, recruit a variety of other protein molecules that mark the mitochondria for degradation. Optineurin and NDP52 are members of a group of proteins called autophagy receptors. When the researchers created cells that contained no autophagy receptors, they found that the cells could not dispose of malfunctioning mitochondria. However, when the group restored the function of either Optineurin or NDP52, the cells regained this ability. Reinstating other autophagy receptors had little or no effect. When PINK1 accumulates on the surface of defective mitochondria, it alters a molecule called ubiquitin. The modified ubiquitin then recruits autophagy receptors as well as Parkin. Parkin promotes mitophagy by bringing more ubiquitin to the mitochondria to form long chains that flag damaged mitochondria for removal. Since PINK1 is needed to start building these ubiquitin chains, Dr. Youle’s work suggests a new avenue for creating drugs that treat disease by boosting the disposal of damaged mitochondria.